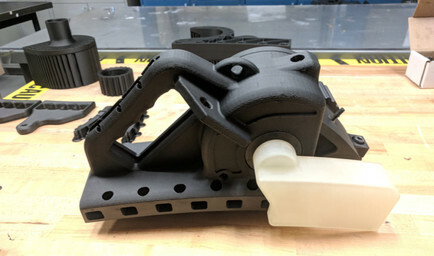 With Markforged 3D printers you can economically print with advanced materials including nylon, chopped carbon fiber, reinforced continuous fiber, and metal. Integrate Markforged 3D printers at all stages of the manufacturing process, from early prototypes to manufacturing tools to end-use parts. Check out the latest Markforged news and information from across the web. 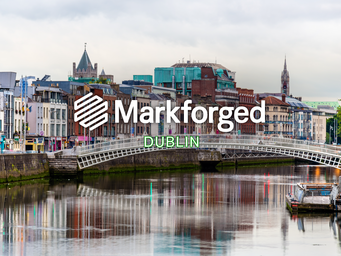 With the support of the Irish Government through IDA Ireland, Markforged announces the opening of its first official European headquarters in Dublin as part of the company’s planned global expansion for 2019. 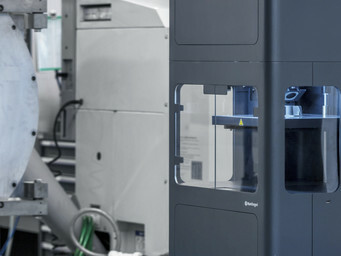 Markforged closes Series D round of funding led by Summit Partners with participation from existing strategic and financial partners, including Matrix Partners, M12, Next47, and Porsche SE. 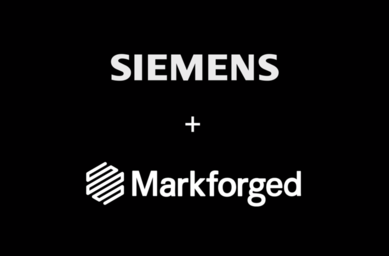 Markforged is joining the Siemens foundation partnership program to collaborate on a new advanced software and machine integration for scaling industrial additive manufacturing innovation and productivity. 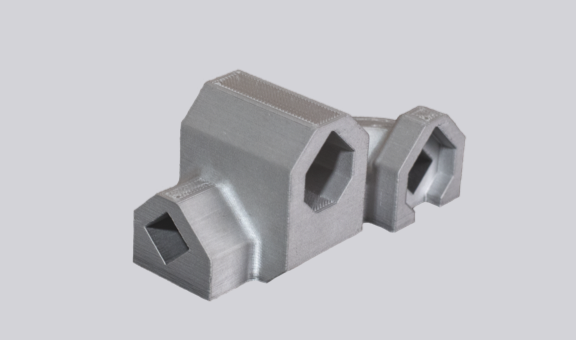 Markforged parts print up to 50x faster than traditional manufacturing methods. Reduce your manufacturing downtime with on-demand production. Markforged parts are up to 20x lower cost compared to traditional manufacturing. Make your products faster, cheaper, and more efficiently by integrating 3D printing into your manufacturing workflow. From stainless steel to superalloys, Markforged offers a full suite of metal materials designed to help you manufacture complex parts affordably. 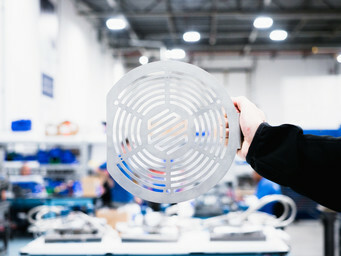 Engineers at Siemens in Orlando, Florida designed and printed a custom circular saw for servicing gas turbines with Markforged continuous composite technology. 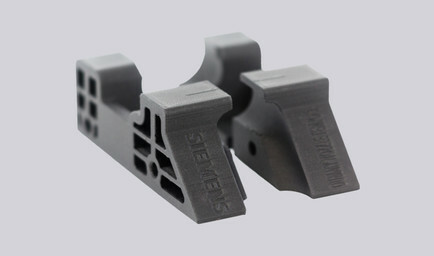 Engineers at Siemens Gas & Power in Finspång, Sweden 3D printed a custom composite fixture to conformally hold a uniquely shaped fuel nozzle for post- machining. Engineers at Stanley Infrastructure Innovation utilized their Metal X system to replace a four-part housing assembly with a single 17-4 PH Stainless Steel printed part. Sign up to receive 3D printing knowledge delivered directly to your inbox.